​Nine Lone Stars, sixteen beautiful corner parts, and Jacqueline's black and white signature fabric in this breathtaking new design. The quilt is finished with the gorgeous striped sashing. There are many ways to design a Lone Star and Jacqueline decided to do it like this. The stunning colors of the rainbow collection are perfect for this beauty. 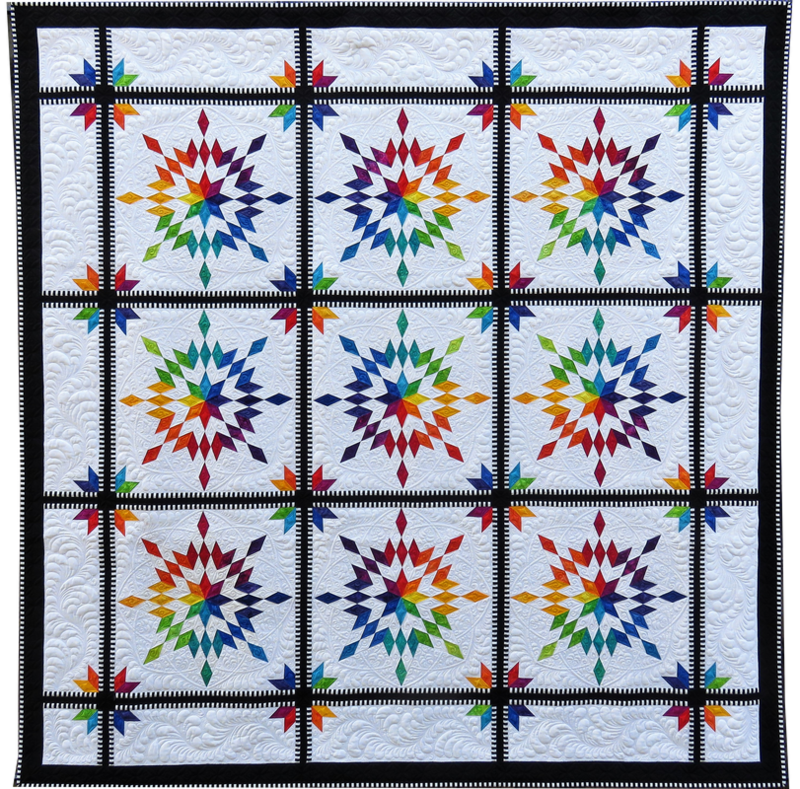 Join Maureen Wood, Authorized Teacher for BeColourful and learn to make the quilt block for this newly released pattern by Jacqueline deJonge. In this two day class you will learn Jacqueline’s techniques for foundation paper piecing and hopefully complete one of the blocks for this fabulous quilt. Just imagine the fun you can have selecting the fabrics for this quilt!